2. Combine wet ingredients into one bowl and dry ingredients in another. 3. Mix together and make into patties. 4. 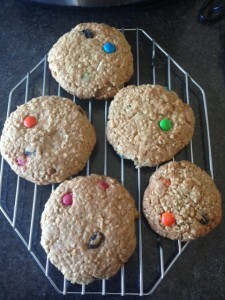 Place on cookie sheets. 5. Cook 18-20 minutes or until golden. Cream butter, oil, sugar, eggs, vanilla and buttermilk. Sift dry ingredients and add to creamed mixture. Mix in zucchini and chocolate chips. Bake in a greased and floured bundt pan or a 9 inch x 13 inch greased pan at 350 deg F for about 50-55 minutes. 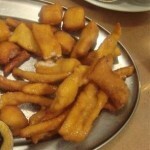 Mangiare! 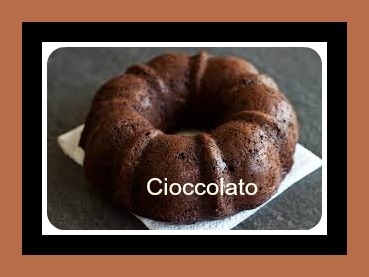 The finale for an Italian family meal is usually fruit or cheese with caffé shared while lingering around the table in the pleasure of each others company, but various mouth-watering desserts are prepared for special occasions. 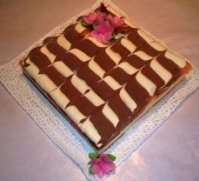 The famous dessert cake of Italy common for birthdays and celebrations is the ‘Zuppa Inglese’. Literally translated, the name means “English soup” it is thought to have acquired the unusual name by the association of English sailors and their issue of rum. This white cake decorated with sweet cream and a garnish of fresh strawberries will become a family favorite from the first bite. 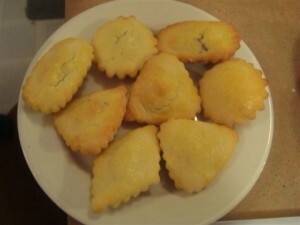 These tasty treats are called Scawaylay and are worth the effort. You will not find these Italian pastries in any North American Pastry shops or Bakeries so make the effort to perfect them. Flour – enough to make a pie dough consistency. In a mixing bowl add eggs, olive oil, sugar, vanilla extract, baking powder and blend together. Slowly add flour until the consistency is same as pie dough. Roll pastry with rolling pin until thin. Cut the pastry in strips and then twist. Deep fry, let cool and coat with honey. 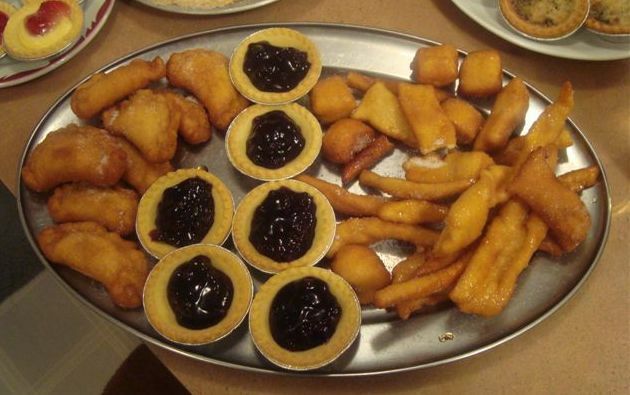 You may find it beneficial to have several plates to move your pastries to during each stage. Let stand and sprinkle with sugar…Mangiare!! Cook at 500 deg F for 4-5 minutes. Keep close watch and remove when they are golden brown. These are Italian cookies Mamma style, Mangiare. 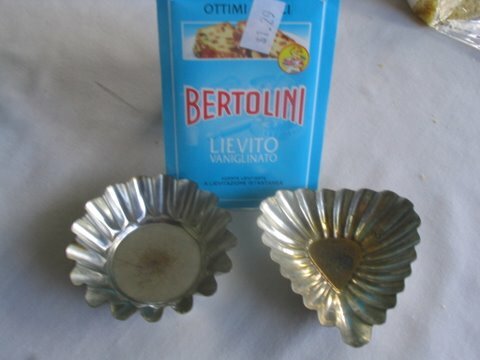 These Italian cookies are typically made at Christmas time and are filled with your favorite jams. This recipe makes approximately 24 cookies. In large bowl combine flour and baking powder. Whisk eggs, sugar, butter, vanilla, almond extract and orange rind. Stir into flour mixture until soft, sticky dough forms. Transfer dough to lightly floured surface, form into smooth ball, divide in half, roll each into 12 inch long log. Place on ungreased baking sheet. bake in 350 F oven for 20 minutes. Remove and cool for 5 minutes on rack. Cut diagonally into 3/4 inch thick slices, stand cookies upright on baking sheet. bake sliced cookies for an additional 15-20 minutes or until golden brown. cool on rack … mangia!! Biscotti in Italian means cookie and also means twice baked. 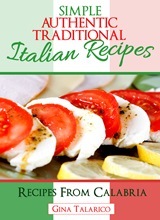 Become a FaceBook Fan and purchase Simple Authentic Traditional Italian Recipes and we will send you a FREE eBook… See below for more details. It is a 53 page e-book which includes some great coffee and dessert recipes. Feel free to share this page with your friends so they too can gain access to download this free e-book. 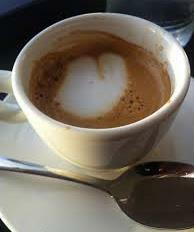 and we will send you “Delicious Coffee Recipes” – a 53 page eBook featuring coffee and dessert recipes FREE of charge. Simply send us your transaction # from the Contact Page and we will send the bonus eBook over right away. We would appreciate if you left an honest REVIEW on Amazon so we can try to make the next book better!! Grazie Tante.